Amazing craftsman four-square located in the heart of Kirkwood boasting 5 beds, 4 baths, 2-car garage & anunfinished basement w/ limitless potential! Kitchen is an entertainer's dream w/ SS appliances, 36" Italian range, custom shaker cabinets, granite counters & more! Enjoy the spa-like master suite w/ double vanity, Carrera marble floors and counters, incredible tub, huge shower, walk-in closet & more! Live outdoors year-round w/ covered patio that walk out to a HUGE & private backyard! 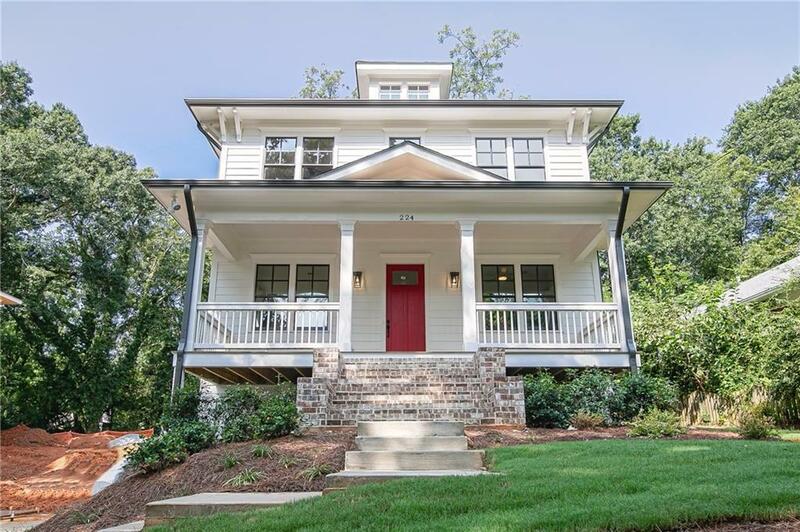 Steps to Bessie Branham Park, Downtown Kirkwood, Marta, & more! Brilliant! Sold by Atlanta Intown Real Estate Services.